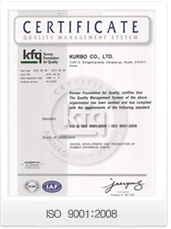 ISO 9001, developed and issued by ISO (International Organization for Standardization) for quality management system, is an international standard to help an organization meet minimum requirement to achieve customer satisfaction by delivering quality products and services. 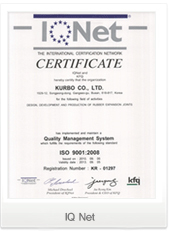 International consortium of certification institutes that form a network and grant certificate for one another. Currently 38 institutes are participating and evaluate credibility of each other; each institute issues IQNet certification as well as its own certification. 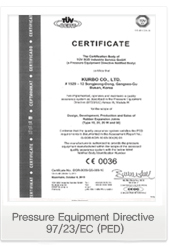 ISO 14001 was first published in 1996 and specifies the actual requirements for an environmental management system. It applies to those environmental aspects which the organization has control and over which it can be expected to have an influence. PED sets out the standards for the design and fabrication of pressure equipment. It also sets the administrative procedures requirements for the "conformity assessment" of pressure equipment, for the free placing on the European market without local legislative barriers. Type Approval is an approval of a specific product or system considered by DNV GL as representative for the continuous production. The basis for the approval can be the Rules of DNV GL, national regulations or proven codes and standards. The Register of Type Approved products and systems contains information of items approved by DNV GL, such as manufacturer, product type and technical characteristics.